Your family is coming for the holidays and your dining furniture isn’t up for the task. Who can make you a custom designed dining room in time for the holidays? Saugerties Furniture and Canadel will deliver to your home a solid birch dining set made the way you want and built tough to hold up against daily life with minimal care. Order your dining set by November 17th and Canadel will build and custom finish your perfect dining room table and chairs for Christmas dinner. Canadel offers a huge range of sizes and table shapes, stylish leg and pedestal choices and the most comfortable and durable dining chairs we’ve ever sold! Many tables are available with multiple leaf extensions to accommodate multiple sets of guests. Buffets, servers, storage cabinets and china cabinets are available to match. All these options plus over 60 stains and paints available in a matte finish or antique distressed finish. Matching barstools are also available in a range of size and design options. Visit Saugerties Furniture for a large assortment of Solid Wood dining furniture, tables, chairs, barstools, hutches, buffets, servers and cabinet storage pieces and pub sets made the way you want it. Browse Canadel’s choices here. The dining table is a meeting place for family to relax and enjoy each other’s company. It also has a million other uses and is constantly used. Canadel’s Champlain collection is perfect for anyone looking for a more rustic farmhouse look with the easy to care for finish that has made Canadel so popular. 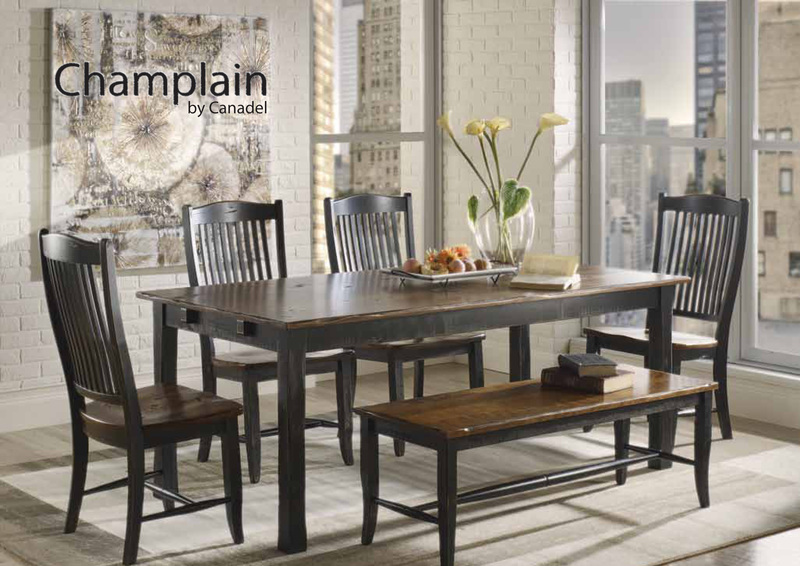 Like all Canadel dining furniture, the Champlain Collection is made from Solid Birch and features the company’s worry-free catalytic finish which guards against stains and scratches from normal everyday use. What makes Champlain special is that Canadel uses the outside of the Birch tree so you get a truly unique piece of furniture as the natural characteristics, knots, worm holes, and natural variation are highlighted for their beauty. Come to Saugerties Furniture Mart, on Main St. in Saugerties to see our Canadel Dining Gallery including the Champlain collection from Canadel. Click here to see all Canadel Styles on our website. 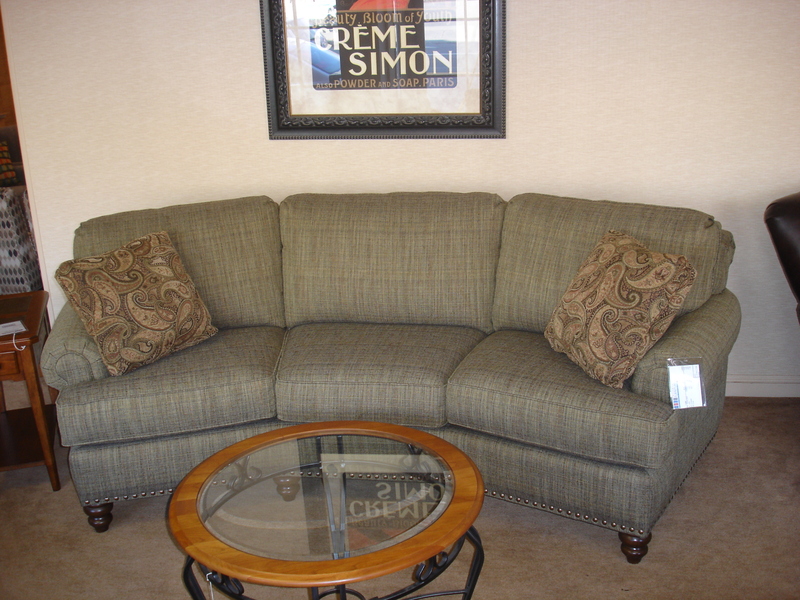 Here’s another comfy sofa from Smith Brothers. Beautiful lines with sturdy Smith Brothers construction set the 388 apart from the sea of plain boxy sofas today. 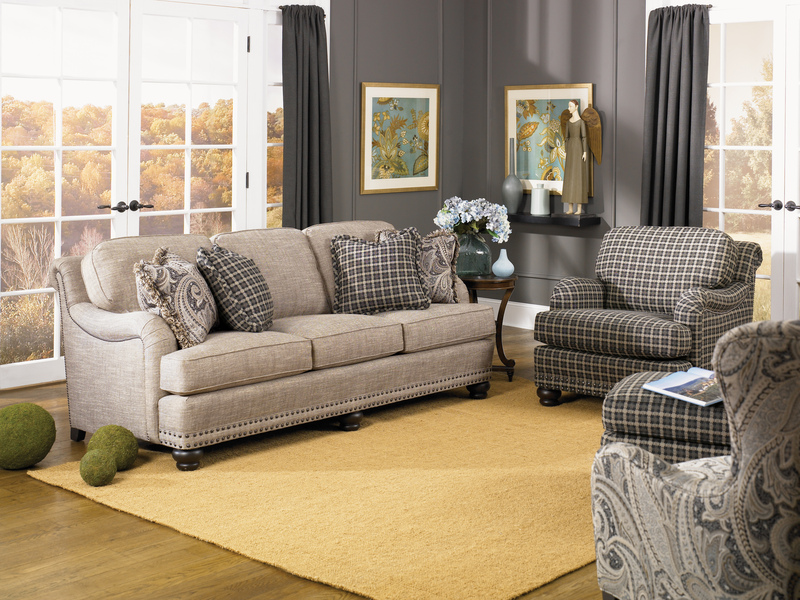 A toostie roll back accented with graphite nailheads and an English Arm with turned style legs ensure this will fulfill the role of beautiful and comfortable sofa for years to come. It is available in a choice of over 700 fabrics and 8 leathers. See the Smith Brothers 388 sofa group and many more at Saugerties Furniture 222 Main St, Saugerties. Beds come in different shapes and sizes just like people, which one is right for your home is a matter of personal preference but there are a few things one should look for & consider when purchasing a new bed consisting of a headboard & footboard plus side rails. 1. Hook & Pin design. Many beds today are cheaply made and assembled by screwing the bed together from the front of the footboard and from the rear of the headboard. Within a short period of time the bed will loosen and there will no wood for the scews to grip when you try to tighten the bed. 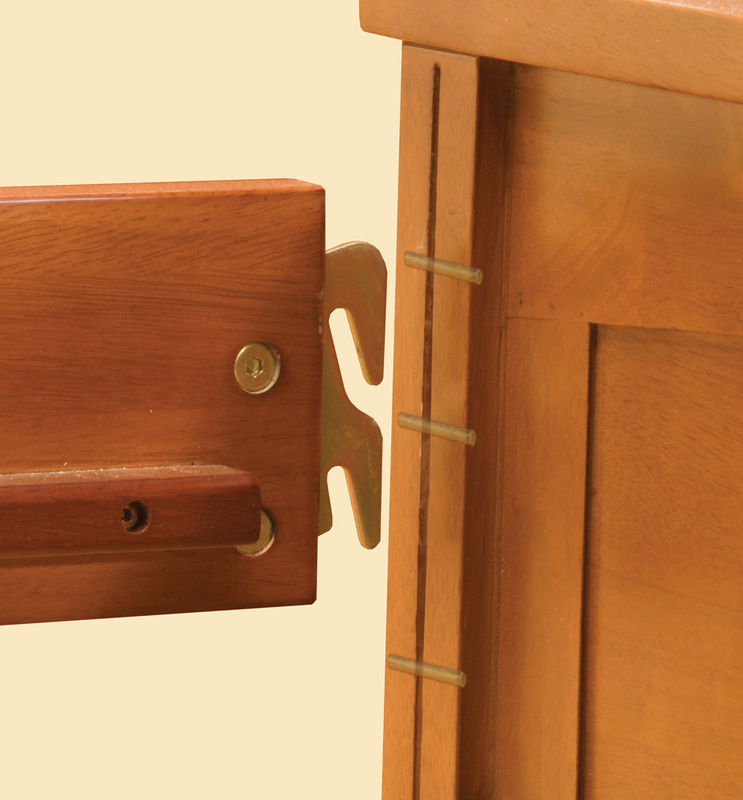 The tradional way of having hooks in the side rails that slide into a notch in the footboard and headboard to set on metal pins will never require tightening. 2. Center Support: Mattress manufacturers all require center supports on Queen and King Mattresses for proper comfort and warranty. Look for, at minimum, one center leg on all queen and king beds. We believe a little support goes a long way and I personally prefer when Full, Queen & King beds have center supports and even Twin beds when they will be used for adult sleeping. We can add center support to any bed to meet a customers need. 3. High or Low Footboards: Low footboards are a fairly recent trend in bedroom furniture. Their great for smaller rooms or taller people. Making the bed can also be easier with a low footboard. 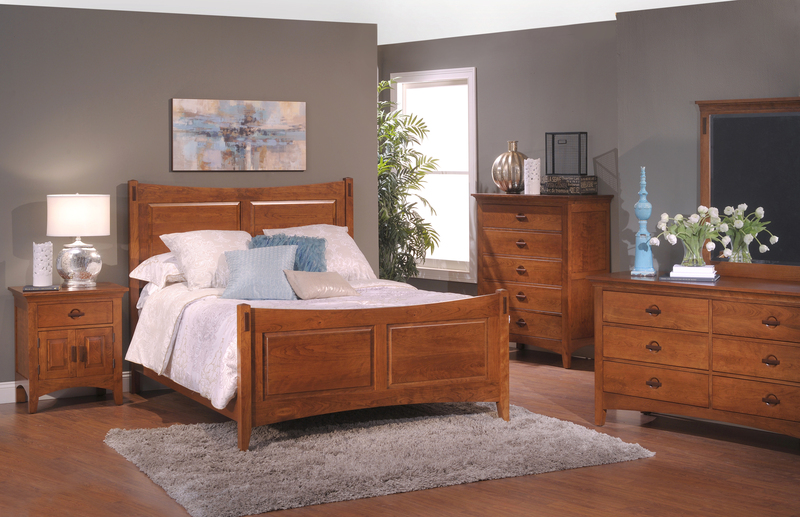 Low footboard beds have the same support & stability as a high footboard but they offer a cleaner more modern look. 4. Fabric Bed: If you have antiques or are looking for some personalized pop in your room choose a fabric bed from Norwalk Furniture, available in over 800 fabrics and leathers they can coordinate with anything. We spend 1/3 of our lives in bed; buy it right and buy it once at Saugerties Furniture in Saugerties NY. 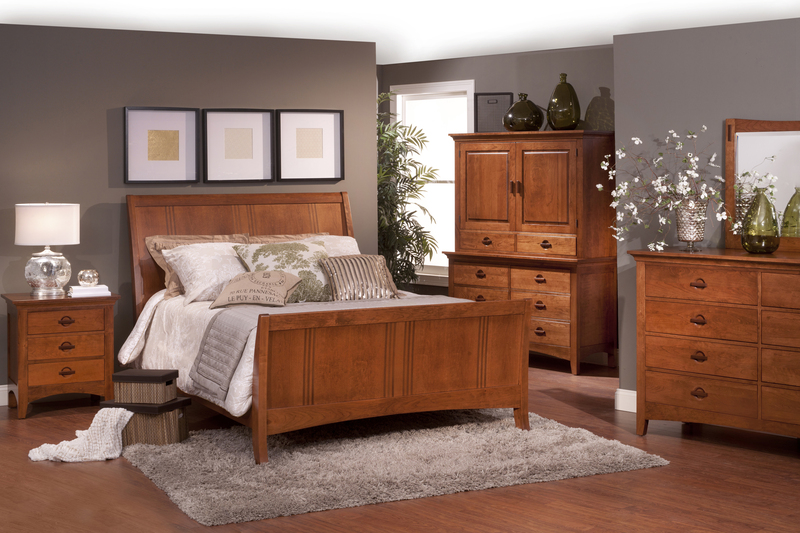 See Saugerties Furniture for Twin size beds, Full size beds, Queen size beds, King size beds, platform beds, storage beds, beds with storage, captains beds, fabric beds and mattresses from Tempurpedic and Englander. This sectional has been a favorite in our store for years. The angles chaise sets it apart in style & comfort. The whole family can cuddle up on the same sofa to watch a movie! 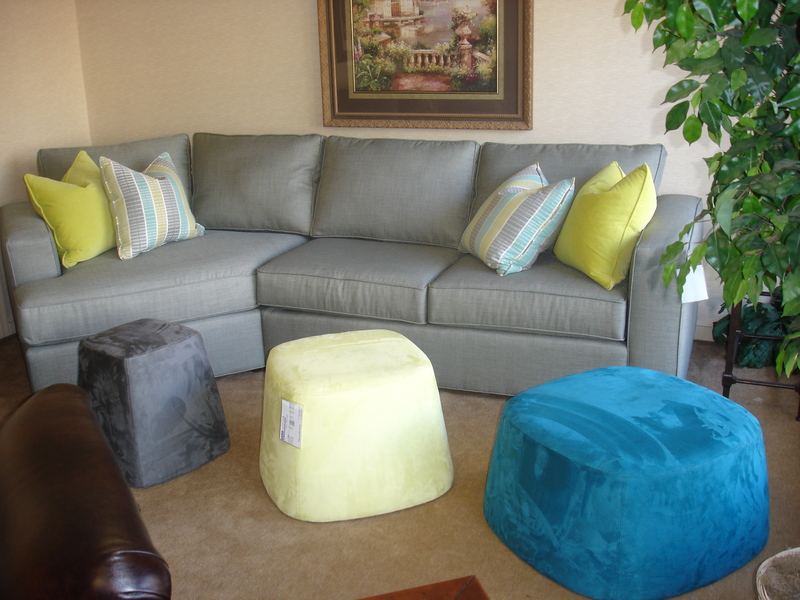 We have paired the Milford Sectional from Norwalk with Huey, Duey & Luey gum-drop style cocktail ottomans each in a different splash of color. These three can be used together or separately as foot stools, cocktail tables, end tables or extra seating when company comes for the holidays. This sectional and cocktail ottomans are available in a choice of over 700 fabrics delivered to your home, by Norwalk Furniture, in 35 days or less! Visit our showroom in Saugerties NY for 4 huge floors filled with sofas, sectionals and living-room furniture to fit your needs.